Wrestling Ring Barricade for a Wrestling Ring. This contains 6 long black barricades and 4 corner pieces with clips to connect them all together. 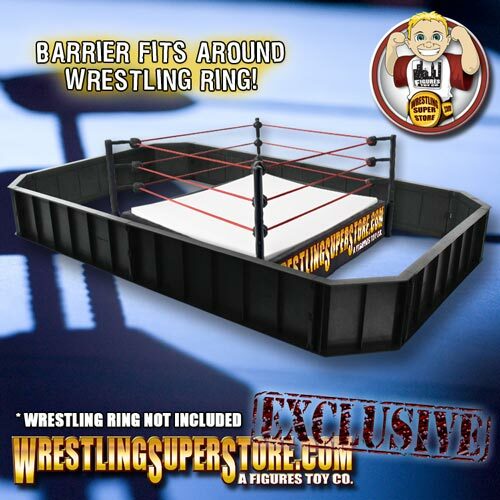 Includes enough pieces to surround your entire Wrestling Ring. When the barricade is all put together it measures approximately 33 inches by 20 inches. Each long section measures 12.5 inches, while each corner piece measures 5 inches from corner to corner.